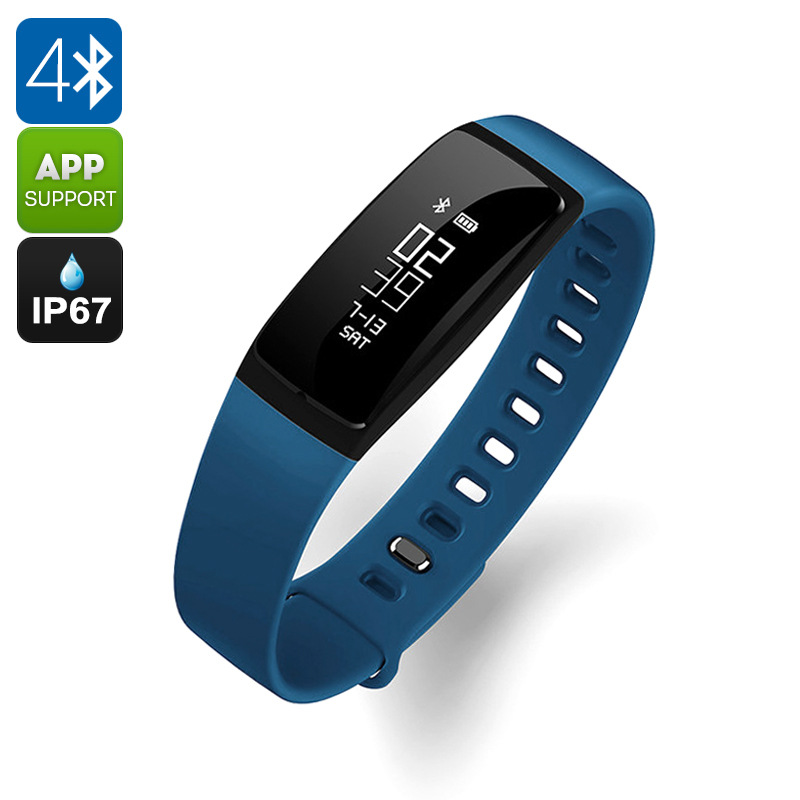 Successfully Added Ordro S11 Smart Sports Wristband - IP67, Pedometer, HR Monitor, Calorie Counter, Blood Pressure Test, Sleep Monitor (Blue) to your Shopping Cart. The Ordro S11 smart sports wristband is a stylish and fashionable health accessory that packs all the features needed to support you in working towards a healthier future filled with sport and exercise. Featuring an IP67 design, this Bluetooth sports watch is fully resistant to water, dust, shocks, and more – allowing you to carry it along during your most demanding exercise sessions. No matter whether you’re into running, mountain biking, or cross-country skiing - the Ordo S11 Bluetooth sports watch is always there to support you in meeting your future exercise goals. Packing an abundance of health tests and features, this smart sports watch is capable of providing you with an all-round overview and analysis of your current fitness level. Its highly accurate built-in heart rate monitor keeps constant track of your heart rate based on which it is able to provide high-quality feedback of your previous exercise sessions. Added to that, this waterproof sports watch features an accurate pedometer that keeps track of all the steps made throughout the day – providing you with a detailed overview on whether or not you’ve met today’s exercise goals. Along with its calorie counter, the Ordro S11 smart sports wristband will show you the total amount of energy burned throughout the day or your previous exercise – allowing you to easily spot whether you are hitting your current fitness goals. Besides supporting you during your exercise and workout sessions, this waterproof sports watch also features a high-quality sleep monitor that assures you’ll get the rest needed in between your demanding exercise sessions. On its beautiful 0.87 OLED display, the Ordro S11 smart sports wristband allows you to keep constant track of not only the time and date but also all your current exercise data. From now on you’ll be able to take the absolute most out of all your upcoming workout sessions as, with this Bluetooth sports watch at your wrist, you’ll always be carrying around your own private personal trainer that’s ready to guide you in reaching the fitness level of your dreams. Compatible with both Android and iOS devices this Bluetooth smartwatch displays all exercise data instantly onto your smartphone. Added to that, the Ordro S11 smart sports wristband also makes sure that you’ll never miss an important call or message again as, when paired with your smartphone, this Bluetooth sports watch will inform you instantly when somebody is trying to reach you on your phone. Holding a compact yet sufficient 70mAh battery, this IP67 sports watch features a standby time of 5 days – allowing you to get through multiple days filled with sports and exercise without you ever needing to worry about running out of juice.